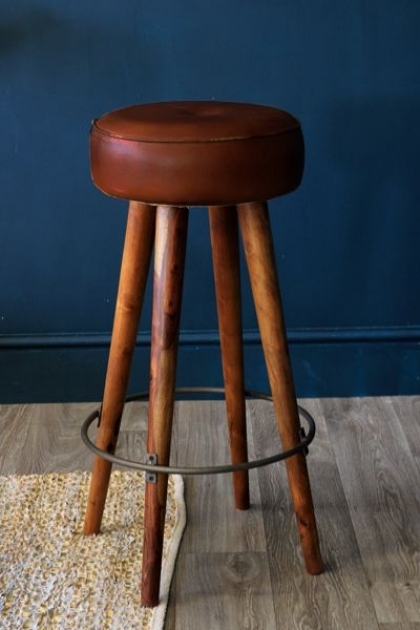 A traditional and beautiful leather bar stool with a crafted soft top and beautiful brown wooden legs. 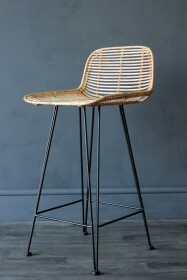 The stool reminds me of the fabulous Tapas Bars in Barcelona. I can imagine myself seated on one enjoying some tortilla, patatas bravas, gambas pil piland chorizo sipping a rather lovely Rioja....sorry got a bit carried away there... Tapas is my favourite! Please note: This stool has been designed to age quickly. 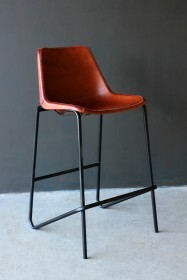 It will crack and wear to obtain the look of an authentic vintage leather bar stool. Please do treat with leather care products so that its skin stays lovely and moisturised. 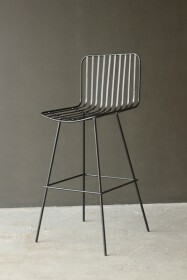 The tapas stools are not certified for use in a commercial environment. Please note this item can only be sent to Mainland UK. Delivery to Isles or outside the UK would need to be arranged by yourself for collection from our Sussex warehouse. Standard Mainland UK Delivery is 3-5 working days unless otherwise stated. Next day delivery is not available on this product.